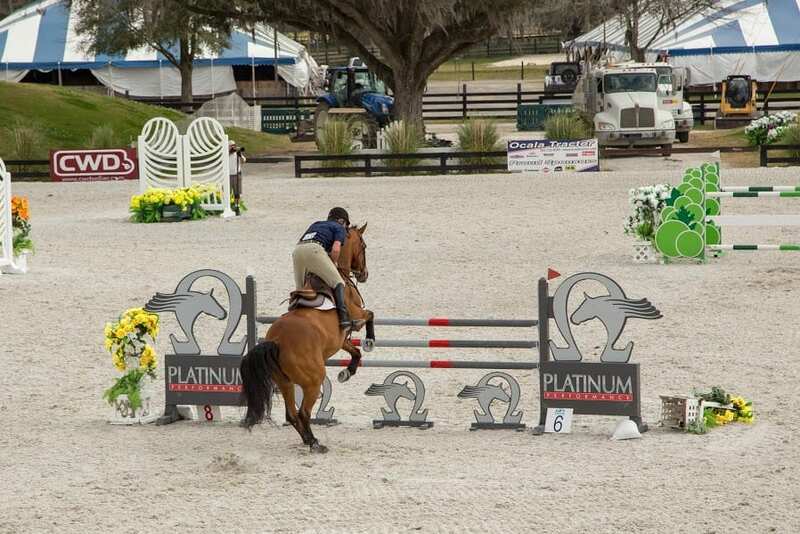 We are so excited to be heading out to join the Florida Winter Tour in Ocala Florida! 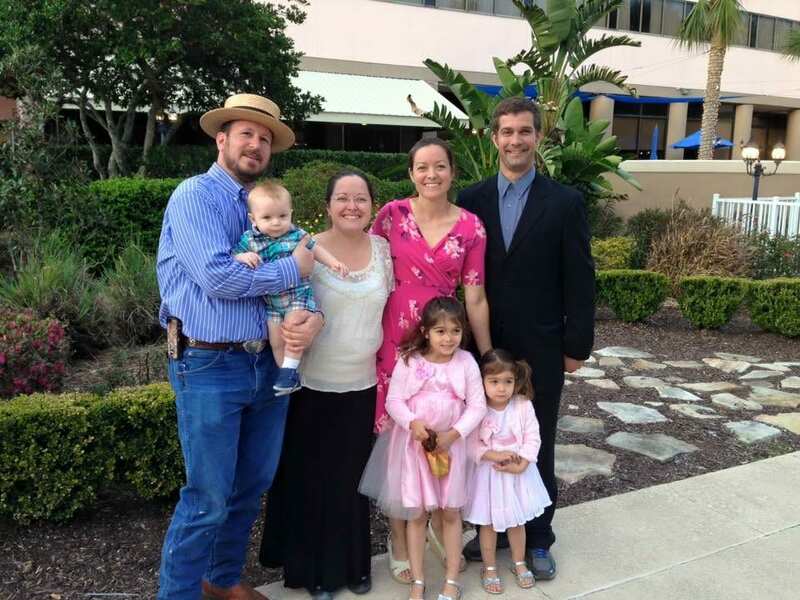 We decided that since it’s 18 hours and we have two little ones that we would definately need a stop along the way. 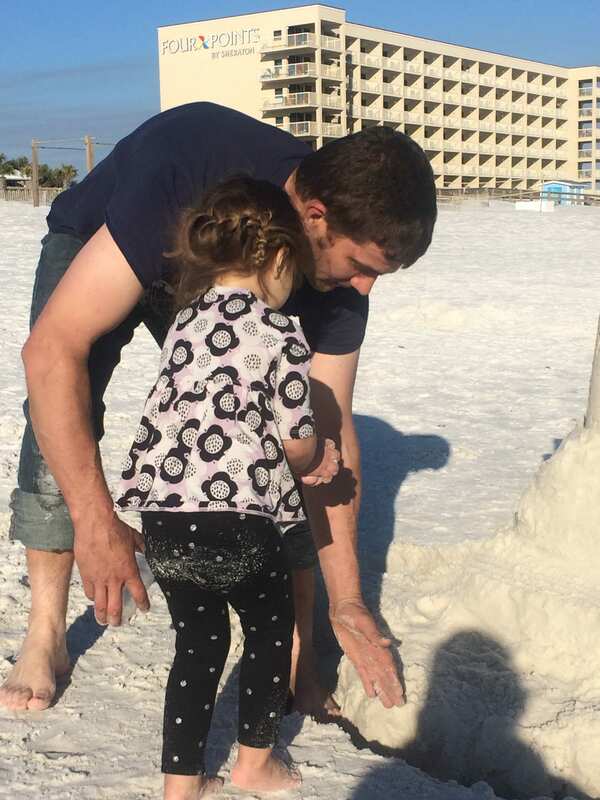 So why not Destin, FL and the beach?! We left at 8:oo at night (the girls’ bed time) and Daddy drove us over night to our Model T friends Paula and Eric Gould’s house in Alabama for breakfast. 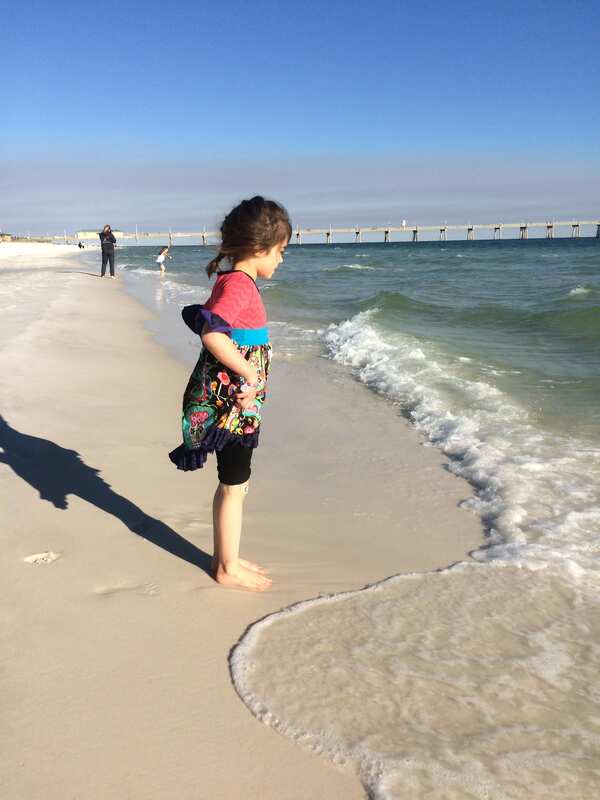 From there we drove to Destin and enjoyed a day by the seaside. 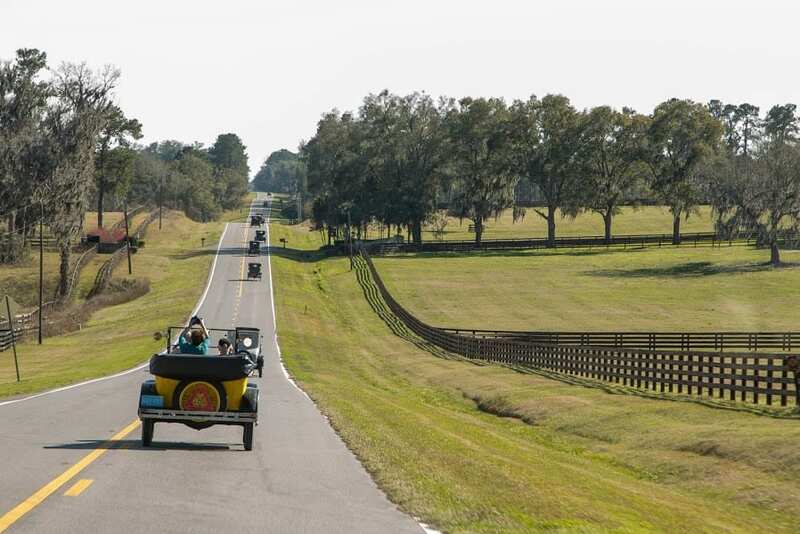 This tour organized every year by Steve Ellis and the Tin Lizzy Club of North Central Florida, this year there were over 100 Model T’s involved. 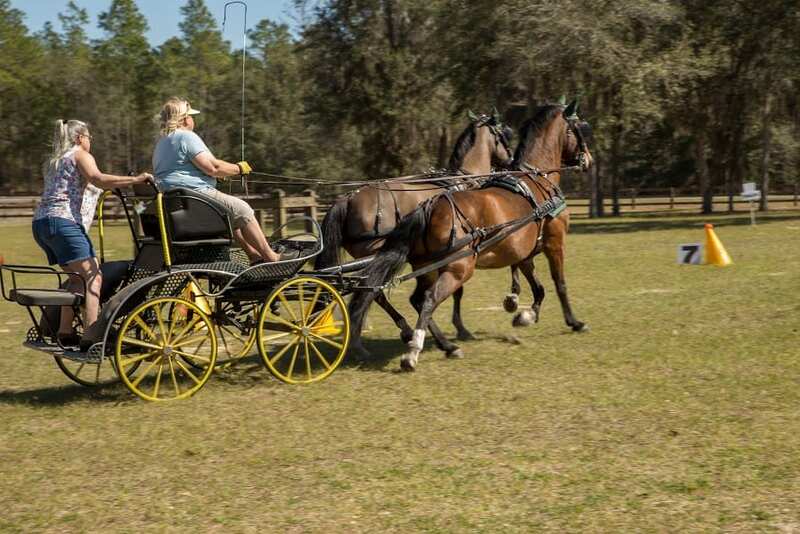 We were based out of the Hilton in Ocala and our first stop was at the Grand Oaks Equestrian Center and Carriage museum. 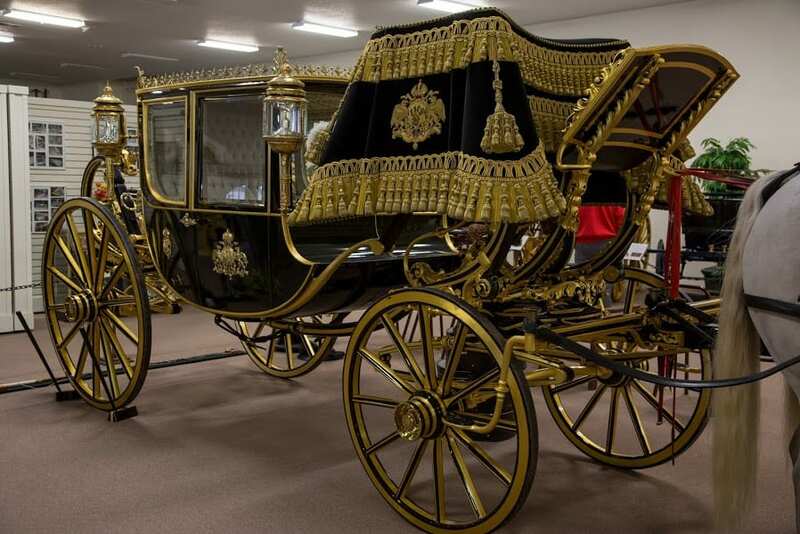 There we saw wonderful historic carriages and artifacts from equestrian days past. 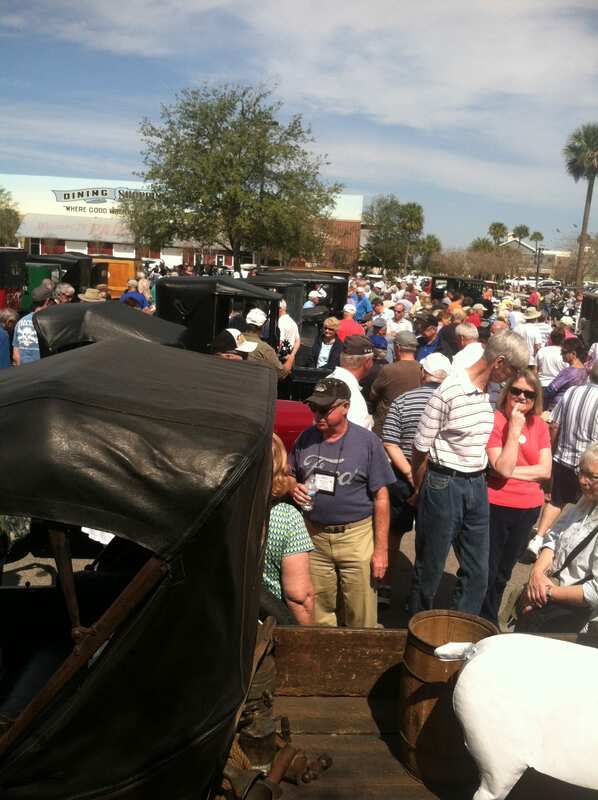 Next we went to Brownwood Paddock Square in The Villages, the largest retirement golf cart community in the world! We were swarmed with spectators that had gathered to see our cars. Here we had lunch and made our way through the crowds to our last stop for the day, The Don Garlits Museum of Drag Racing. 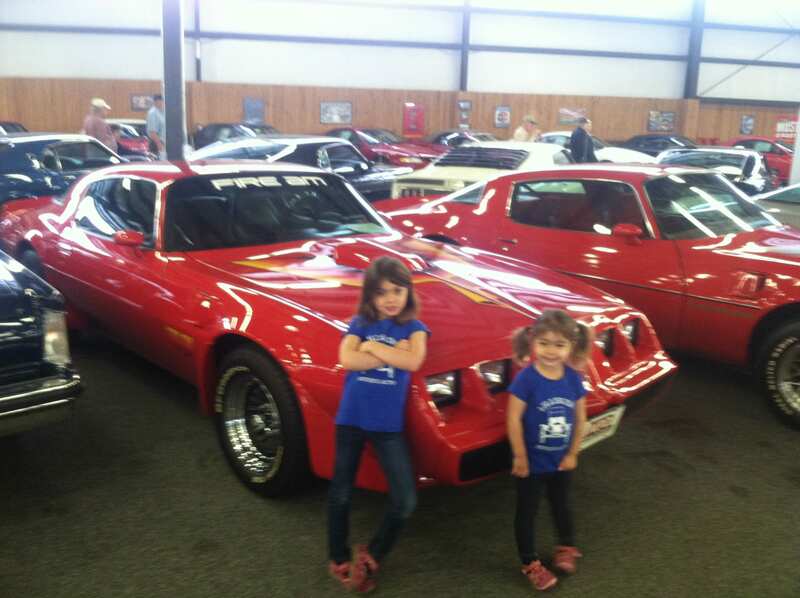 It has a spectacular collection of memorabilia both from drag racing and other motor sports. Exhausted we headed back to our hotel for dinner and rest. Today we had about 100 miles of roads through the horse country of Florida. Our first stop was the Black Prong Equestrian Center. Here we were able to see some cart racing demonstrations. Many of the back roads look very picturesque with Spanish moss hanging from the trees and miles and miles of wooden slatted horse fence. 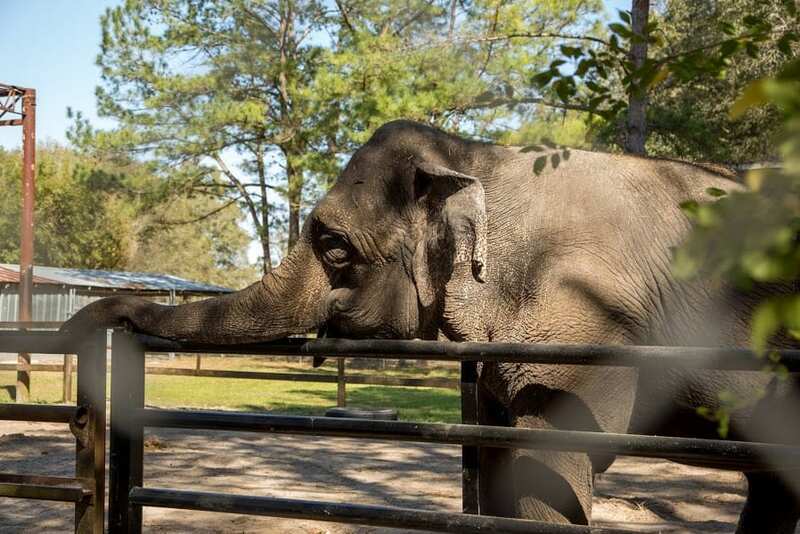 Our next stop was Two Tails Ranch and Elephant sanctuary. The girls loved seeing all the animals and listening to the educational talk about the Elephants and their care. 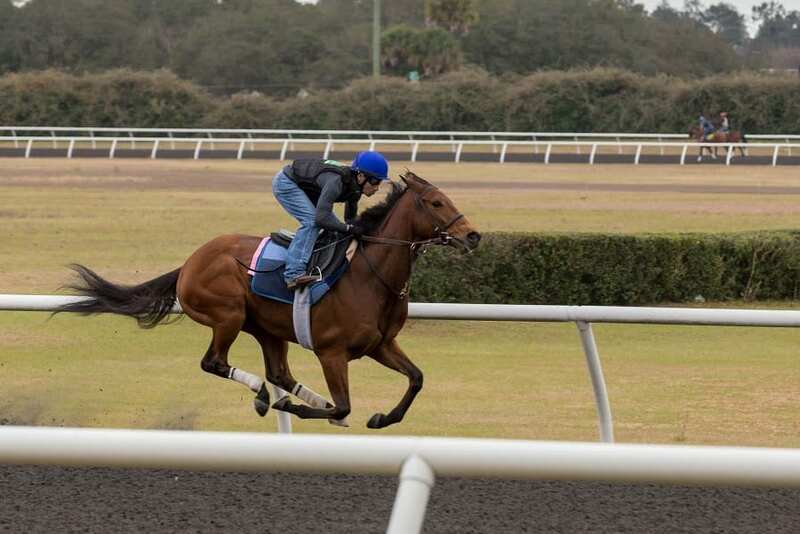 Today’s first stop was Ocala Breeders Sale, known as the premier horse venue in the south. 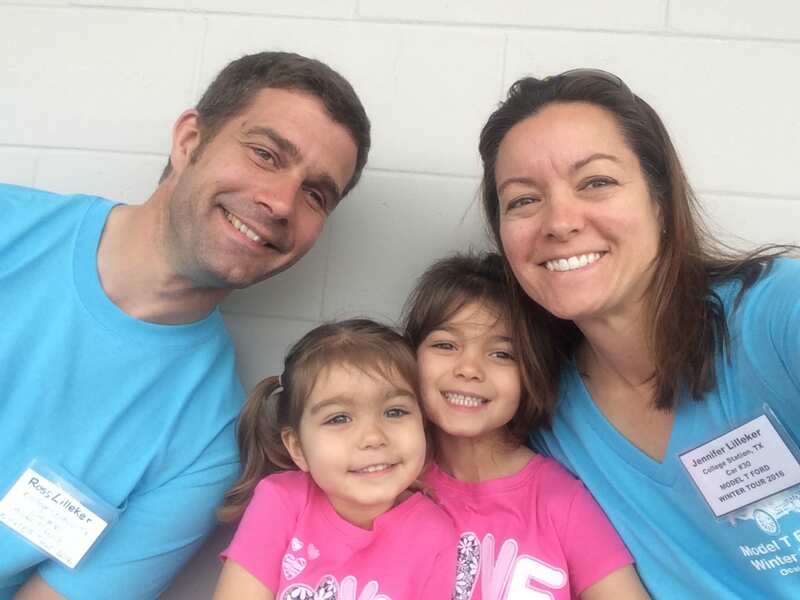 We waited anxiously in the stands to catch a glimpse of some fast horses and then headed back to our preferred “horse powered” car. After some back country roads we stopped at another horse venue, this time to eat our lunch and watch some jumping and dressage. Then it was back to the hotel for some social time and a dip in the heated pool! Enough with the horses and on to some high horse powered cars! 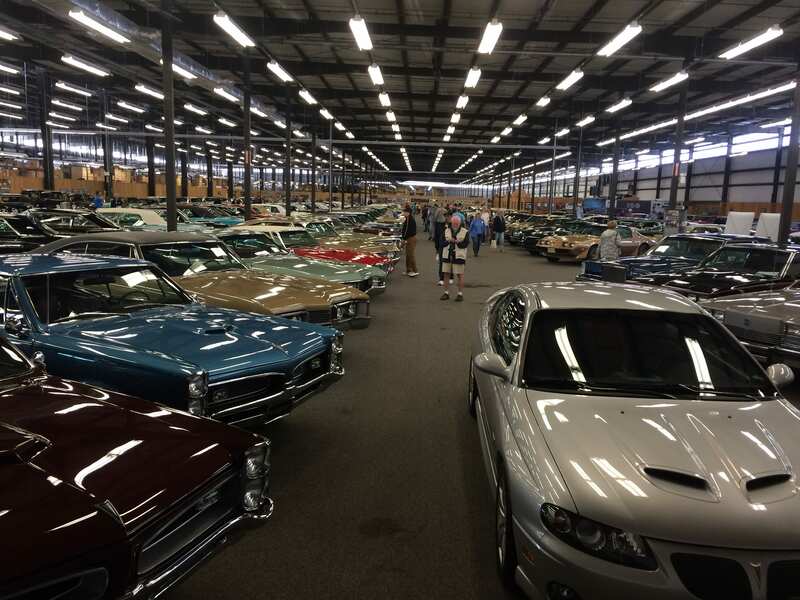 Today’s first stop was the National Parts Depot (NPD) warehouse and car museum. The cars took up most of the massive building!! There were all kinds of cars from all eras and makes and models. All of them were shiny and spectacular specimens. 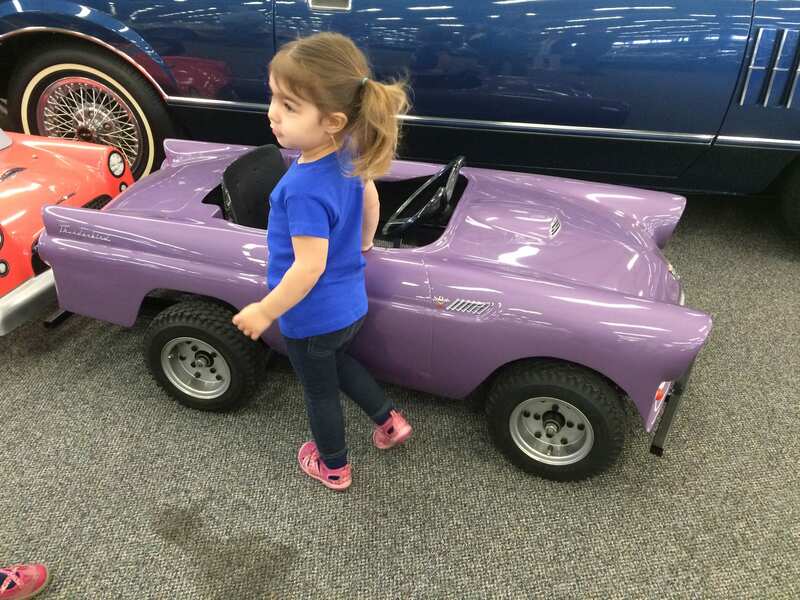 There were also model car and pedal car collections, camera collections etc. It’s safe to say this guy likes to collect! Next we headed out to Leeward Air Ranch, a housing development for people into airplanes. 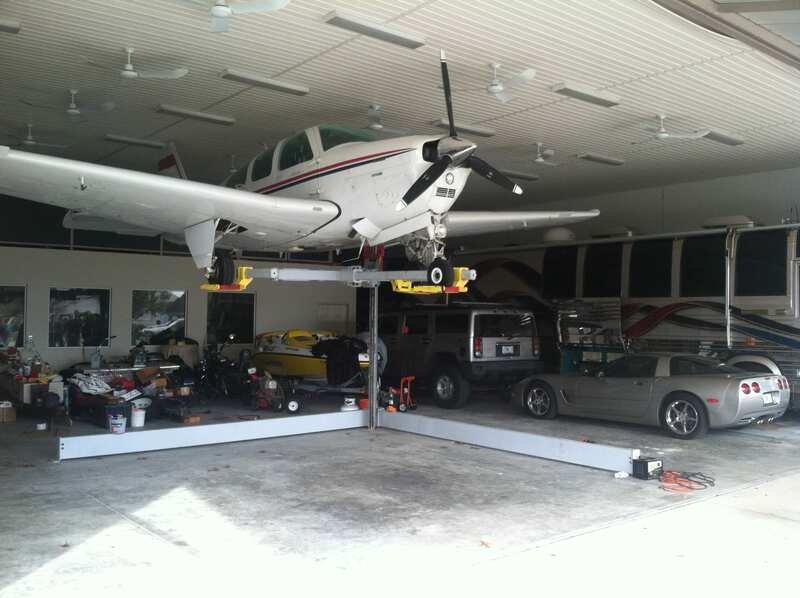 Most houses had a hanger attached to their garage and the streets were set up like runways. We loved looking at their hobby and toys and they liked visiting with us about ours. Afterwards, we headed to a Lake and a restaurant called Gator Joe’s. There we sat out on the deck and had burgers, yum! Then through Ocala Forrest back to the hotel to freshen up for the closing banquet. This week went by fast!! The evening ended with food and merriment as friends old and new remembered the week’s highlights and said their goodbyes. 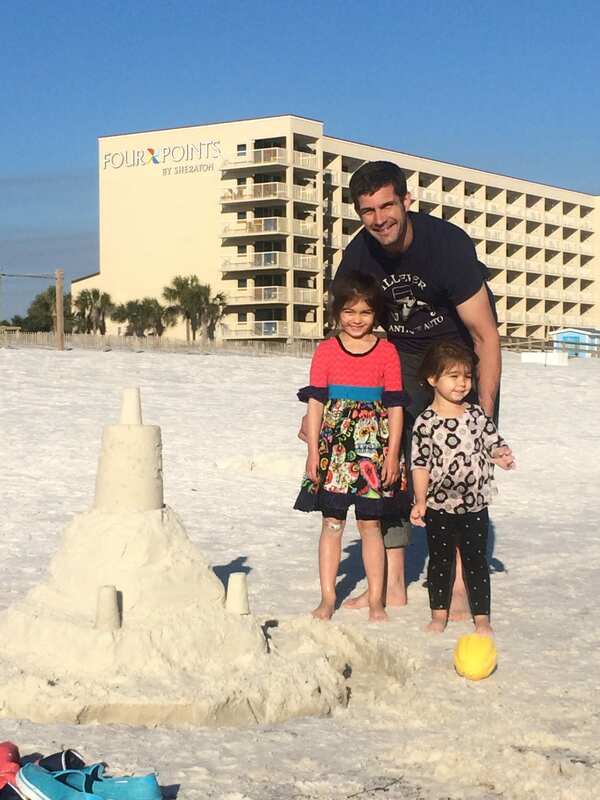 Our family sure did enjoy this winter break and touring around Central Florida. Now off to DisneyLand for a glimpse of a mouse.